How Much Does Cruciate Ligament Dog Surgery Cost? Home > Dog Health > Illness > How Much Does Cruciate Ligament Dog Surgery Cost? Unfortunately, we don’t know why dogs experience cranial cruciate ligament (CCL) injuries so often, especially certain breeds. We do know that it happens when the knee joint breaks down (or tears) or in some cases, completely ruptures. This can occur with a sudden movement, like when a dog is playing fetch and does a quick turn to catch the ball, or it can be a slow degeneration of the ligament over time. Read our article below to find out if your dog is at risk for a CCL tear and how much it could set you back. We encourage you to view the short two-minute video below, which has a veterinarian discussing what a dog with a CCL tear looks like. 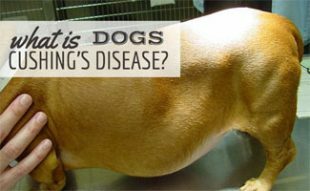 The video includes visuals of symptoms that your dog may be exhibiting if it has a cruciate ligament tear. Additionally, older pets are more apt to tear their CCL. However, younger pets are not exempt. A dog cruciate ligament tear is typically treated with surgery followed by medication, rehab and weight management. There are a few common surgical techniques used to repair the cruciate ligament in dogs. TPLO and TTO are considered the most reliable approaches for surgically managing cruciate ligament injuries for dogs who weigh more than 25 pounds. TPLO and TTO stabilize the knee and allow for regular weight-bearing on the joint. To help with balance, a metal plate is inserted, and dogs are typically back to normal in about six weeks. An extra-capsular repair is the most common procedure, but there are questions about how effective it is for dogs over 25 pounds. This repair stabilizes the knee with artificial bands or sutures. It is just as invasive at TPLO and TTO but is less reliable because the knee joint isn’t as stable. This repair is similar to an extra-capsular repair but is a step up. However, board-certified surgeons and scholars are not convinced of its success rate when compared to TPLO and TTO, specifically for larger breed dogs. The cost of a torn CCL in dogs can vary based on your location, vet, breed, severity of the tear and more. 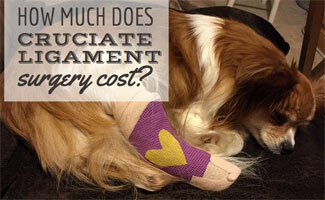 According to some pet insurance companies, below is how much dog CCL surgery can cost. Note, in most cases, you would not be reimbursed the full amount. The claims would be paid by the pet insurance company according to the terms of the policy and would be specific to your situation. Another thing to consider is the cost associated with CCL surgery aside from the surgery itself. Dogs may also have a lifetime of pain-relieving medications in their future — the cost of these medications add up over time. 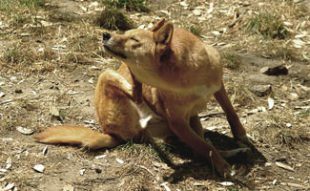 Along with pain medications, glucosamine and fatty acid supplements are recommended for dogs with joint disease. Additionally, anti-inflammatory meds (e.g., carprofen, meloxicam, etc.) and human opiates (e.g., tramadol) may be prescribed as well. In addition to medications and supplements, your dog will most likely need rehabilitation of some sort to help with recovery. Weight loss and muscle gain are necessary for a successful CCL surgery and recovery. These costs associated with CCL surgery in dogs add up over time, but fortunately, are usually covered by pet insurance providers as long as your dog is signed up before detection. Also, please know that many pet insurance providers have waiting periods for CCL (or ACL) surgery in dogs. Click the link above to see what waiting periods there are. Healthy Paws (read our review) sent us this testimonial from a pet parent about their dog’s experience and how pet insurance helped them foot the bill. My dog Mojo tore his CCL at 3 years old and had to have a very expensive surgery! We luckily chose the $250 yearly deductible and 90% reimbursement policy with Healthy Paws Insurance. So, we didn’t have to worry about making the choice to get him the best care. They processed his claim quickly (within 2 weeks) and sent us a check. Thank goodness we had insurance. I am not sure what we would have done without it. Afterwards, they even sent me an email to ask how he was doing after surgery. We appreciate them caring and checking in on him. He is young and strong and recovering like a champ! I am sure that in a few weeks he will be almost good as new and back to running and playing like a young crazy pup. 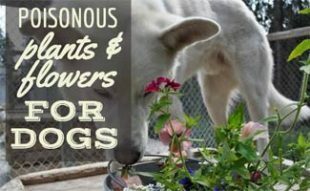 I would recommend Healthy Paws to everyone who asks me! Ultimately, preventing a CCL tear in dogs is pretty difficult since it typically is a result of activity. Avoiding exercise and activity for your dog can cause other health risks and, ultimately, exercise is beneficial for dogs, so avoiding it is impractical. One thing that breeders can do is to stop breeding dogs whose offspring repeatedly experience CCL tears. The other idea is to spay/neuter dogs after their second birthday, however, this concept is controversial. The best thing you can do for your dog is to try to keep them as healthy as possible. That means helping them maintain a healthy weight and giving them adequate exercise, so they stay in shape. 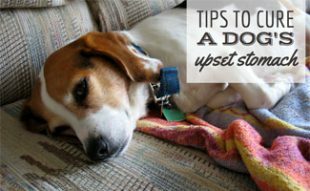 Unfortunately, these tips aren’t a guarantee for avoiding CCL tears in dogs, so we recommend signing your dog up for pet insurance. Our top three picks cover CCL (ACL) tears in dogs as well as prescription medications and rehab. If you’re interested to see how much pet insurance would cost you per month, fill out our free pet insurance quote form. Is your dog predisposed to CCL tears? My six year old Tibetan Terrier was ok one hour and woke up with severe limping on her rear left leg. The vet misdiagnosed her and told me I’d soon have to make “that decision.” He gave me a pain med and glucosomine. I spent two weeks in sheer terror of losing my sweet little companion, my shadow, my best friend. I decided to get a second opinion and she has an acl injury. We don’t know yet what the repair will cost but the internet said up to $6,000. We don’t have that much money available. A few years ago the business my husband had worked for for twenty years was sold to a big group who immediately lowered income by 60 percent. My husband was one of four men who had made the owner a millionaire. The new owners also wanted non competes from everybody. We had to start over with a smaller company and much less pay. Our income will be very slow in coming back. I am going to sell everything of value that I own with no hope of ever getting any of it back but we will still be very short on the cost of the surgery. Care Credit won’t loan us any money because the change in jobs has put us in an extreme financial bind. anybody got any ideas? I’m so sorry, Linda. Have you tried speaking to the vet about your situation? Perhaps they could do a payment plan or even do it pro bono?